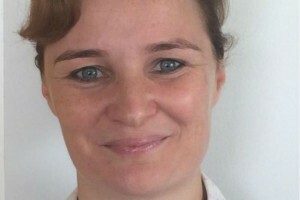 Amy Rees, now Principal Private Secretary (PPS) at the Ministry of Justice (MoJ), won the 2010 Civil Service Award for Leadership as governor of Brixton Prison, a role for which she also received the coveted Cabinet Secretary’s Award. She talks about her time at Brixton and what the awards meant to her. I won the Civil Service Award for the three years I spent governing Her Majesty’s Prison Brixton, which was then a large inner city London Category B local prison with a lot of problems. A Category B is a medium prison, for those who don’t require maximum security, but for whom escape still needs to be very difficult. When I arrived, the jail had experienced eight self-inflicted deaths in the space of seven months, the highest Mandatory Drug Testing rate, the highest staff sickness levels, and a staff level transfer moratorium, for fear of a mass exodus. While I was there, all of these things got better: there were no deaths in three years; we had one of the highest levels of staff engagement in the People Survey; and the prison achieved a very decent inspection report. We did, of course, experience difficulties, mostly in persuading people – prisoners and staff – that life could be better. There were also so many things to improve that it was easy to be distracted or disheartened. I made sure that we focused on three things at a time: we set a goal, explained why it was important and we celebrated success – particularly, each and every time we saved a life. Another example of how we dealt with things a little differently was – rubbish. Prisoners tended to throw rubbish out of their windows, attracting rats and other vermin. We could have responded by keeping the windows closed, but with the prison already a very hot environment, we took a different approach. We planted flowers under the windows around the prison, and gave six of our most difficult prisoners the task of tending the garden. The rubbish and vermin problem quickly disappeared. I want to end by giving one more reason why awards are so important. I am not sure that I prevented re-offending in Brixton as much as any of us would have wanted. I am equally unsure whether I changed penal policy, or pushed boundaries. But what we did do, every day, was bring some decency and humanity to the darkest moments of people’s lives. I believe that work matters. And I believe it mattered that the Civil Service Awards brought us recognition for that work. "So it’s a really good question about why people should nominate for the Civil Service Awards. They’re a really fantastic opportunity to be recognised, not just the individual or the team, but the effect it has on others around them. There’s an amazing array of work that goes on across the Civil Service, some of it absolutely in the public spotlight and some of it not. It’s such an important opportunity to recognise all that amazing work and to thank people for their amazing contributions. What impact did winning the award have on me? Well it had a really positive impact on the staff, and I had quite a big staff group at the time. They felt that their hard work had been recognised, which was really great, and it was beyond just me. It also helped to get me some exposure in the Civil Service, and I think helped me to cross some organisational boundaries and allowed me to do work in the wider Civil Service that perhaps I wouldn’t have been considered for before winning the award." This is my favourite article here. Well done Amy and team. A very inspiring article - well done to Amy and all the staff at the prison. I'd be really interested in knowing more about the specific goals that were set and the practical changes that were made that contributed to saving a life and achieving better staff engagement. Is there a report that I could access? Fantastic to hear about this and so pleased to hear that your achievements have been celebrated! I am so glad you sent the correct link I was disappointed on Friday when it lead to a diffeent article. Well Done Amy! I enjoyed reading about your success. A very inspirational story which I was very pleased to read - one of the most positive people centred I've read for a long time. Well done. I work with a number of Prison Officers in my second job (well, you've got to get a pay rise from somewhere...) and have heard harrowing descriptions of the pressure their work entails. A very inspiring article - congratulations on your award. What lessons have been learned from your successes, and are they being captured and spread to other prisons? What an achievement, well done Amy!! I enjoyed reading this article and congratulations on your award. Congratulations to Amy and Team. I am so happy to know that your achievements have been celebrated as we need encouragement to do a good job. Good to read an article with such positive results where the staffs' spirits were lifted and problematic prisoners were encouraged to take pride in the gardens. I'd like to read more of the initiatives used. Very inspiring to read about such a positive and well deserved award. Congratulations to you all! Well done Amy! A great and inspiring read as I have the same thought processes. People need to feel valued in order to bring out the best in them.Congratulations on proving this! Very inspiring read, sometimes the "back to basics" works wonders and the small changes lead to bigger better things. Well done to Amy and the team. Gosh, this almost moved me to tears. A great, inspiring piece of writing. Well done to Amy & colleagues at Brixton Prison. Would love to have read this article fully, but as with so much other content we are sent, the video presentation is blocked for viewing. Something really needs to be done about this. We're really sorry you can't see the video. To be honest this is a problem we have with a few departments and we're working with them to try and get some sites unblocked. We know it's not much of a consolation but we've added the transcript of Amy's video to the bottom of the page so you can see what she said at the awards. As a Magistrate and an HO staff, I find Amy article inspiring and reassuring. I am female, Team Manager -SEO grade, my observation is, for most BME staff working in Operational Delivery our work is OFTEN never regarded as challenging or high profile enough. In most cases operational staff efforts or achievements is usually peck low, not good enough for deserving a recognition of an ward. How proud your dad would be Amy,even more so your grandfather and grandmother Les and Chris.well done and may your success continue.